1. Stalk thrift stores near colleges for textbooks you can resell online. 2. AbeBooks.com is the best place to look up the value of a book. See a special edition of a classic book? Look it up on AbeBooks.com with your smartphone. 3. Some sports video games are actually very rare. Some discontinued and/or vintage sports video games are rare and can be worth anything from $30 (still a mark-up from the $1.50 you bought it for at Value Village) to thousands of dollars. Read a primer here. 4. In fact, if you see any vintage-seeming game from a bygone game system, by all means, look it up. 5. Easily make a small profit on vintage Pyrex. People go nuts on Etsy and eBay for this stuff, and it's easily overlooked at thrift stores and garage sales. Just remember: don't put 'em in the dishwasher. The heat will destroy the finish. And get the complete set if you can. 6. Don't underestimate the endless sea of gross old mugs. If you find any vintage Fire-King, Glasbake, or Federal glassware, a 50 cent mug could go for $10-15 on eBay. Especially if it's emblazoned with a well-known pop culture icon. Check out more examples of these vintage mugs here. 7. Jade-ite is a highly desired color of vintage glassware. This 16-piece dishware set is going for $520 on eBay. Here is more information on how to determine the value of your Jade-ite. 8. Paint-by-numbers, especially in pairs or sets, can go for $50+ on Etsy and eBay. 9. Depending on year and condition, vintage boardgames can be a hot sell on eBay. Just be sure to check that all the pieces are intact. Check out BoardgameGeek.com for a more thorough list of board games that could be valuable. 10. When perusing the art, pay special attention to the frames. Usually the frames, if they are especially ornate or antique-looking, can be worth more than the art itself. 11. If you see anything silver that looks tarnished, it could be sterling silver. Contrary to common belief, sterling silver is usually never shiny. Real silver tarnishes with age. To be sure though, you can bring a Neodymium magnet with you to test out metals. For more instructions, read this post. If you're lucky enough to stumble upon sterling silver dinnerware or silverware, you can resell it for a LOT on eBay. These silver goblets are worth close to $950. 12. Dinnerware with an iridescent patina is called carnival glass and can be highly collectible. 13. Look at the stamps underneath. With any kind of pottery, vase, or dinnerware, the embossed sign underneath could be a sign that an item is a collectible. Do a quick search on eBay to see if it might be worth something. 14. A North Face jacket can go for over $100 on eBay if you sell during the right season. 15. You might not make a fortune with name brand workout clothing, but you'll at least turn a profit. Under Armour, Nike, FILA, and Adidas brands are all extremely easy to find at most thrift stores and can be sold online for $15-50. But if you're lucky enough to stumble upon some '80s or '90s vintage, a $1 Air Jordan hat could earn you $75 on Etsy or eBay. 16. These gooseneck desk lamps that look like they're from the '60s or '70s can be easily found at thrift stores. If you clean it well, you can probably turn a nice profit. This lamp is going for $33.99 pre-shipping costs on Etsy. 17. These light-up ceramic trees are frequently found at thrift stores, and can go for upwards of $50. 18. Look for sets of glass swizzle sticks. People love to collect vintage barware. 19. Vintage blue ball perfect mason jars fetch around $10-12 apiece. 20. 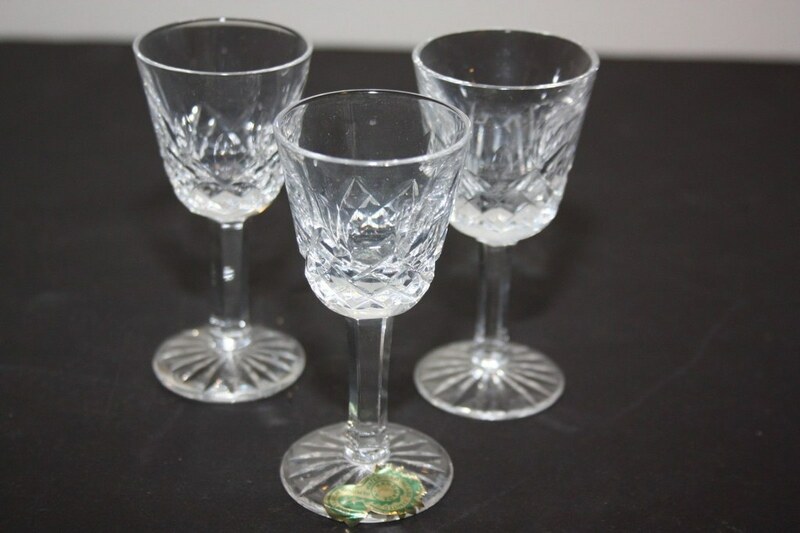 In fact, if you see any patterned translucent colored glass, you may have stumbled upon depression-era glassware. Whether it's original Fenton aqua or vintage cobalt glassware, someone probably wants it. 21. People collect vintage cobalt blue bottles. 22. 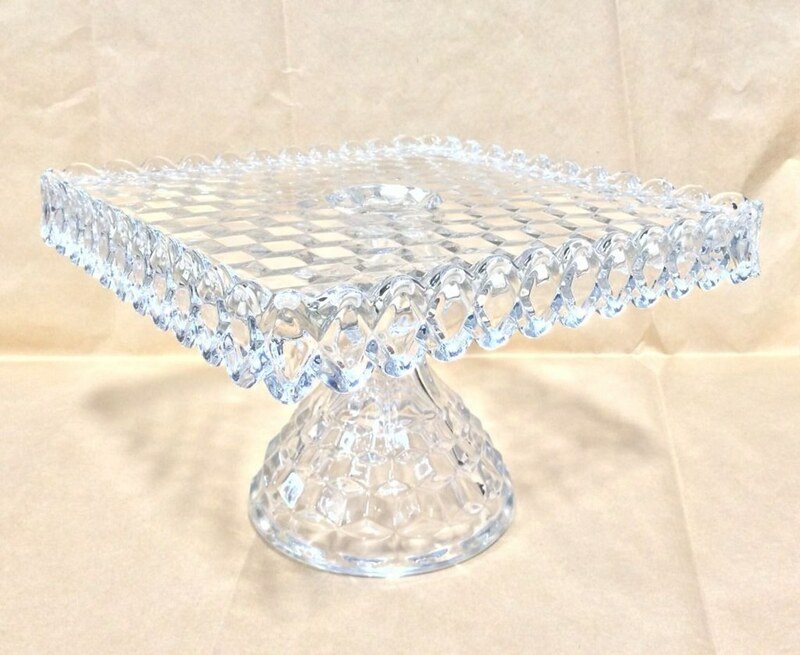 Crystal etched with the Waterford or Fostoria mark is worth picking up for cheap at thrift stores and garage sales. The older pieces are worth more. Take a look on eBay to see what variations are the most collectible. 23. Old chocolate molds can make you a few bucks, depending on how old. This baby with a distended belly was going for $124 at a flea market. 24. They're difficult to ship, but a vintage globe can fetch $200+. The condition and the design of the base can both determine how much you're able to charge. 25. 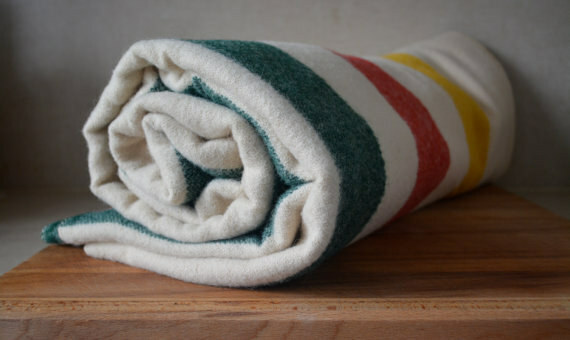 Vintage blankets and quilts are often overlooked at thrift stores. 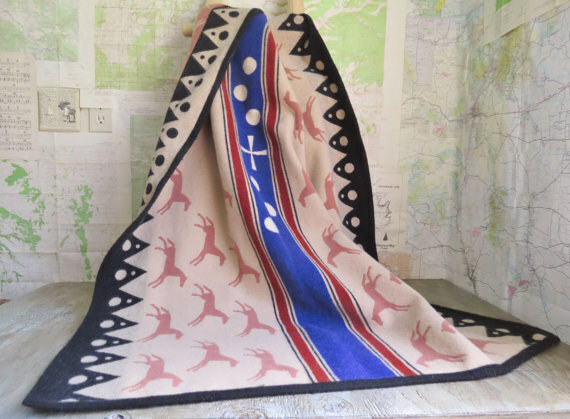 You can definitely mark up any Pendleton or Hudson Bay blanket, or even a pretty vintage plaid blanket or '70s looking afghan. 26. 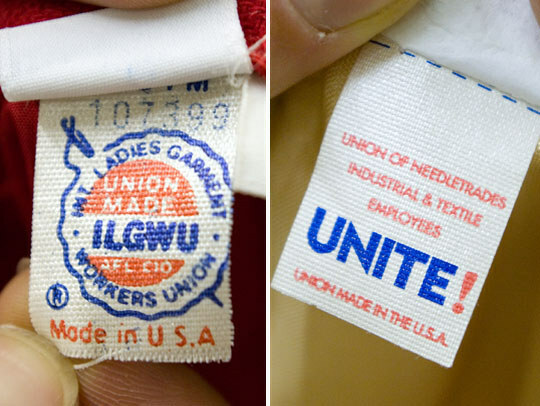 Check the tags on your clothing — anything union-made or made in the U.S.A. denotes an older item that could be worth money. 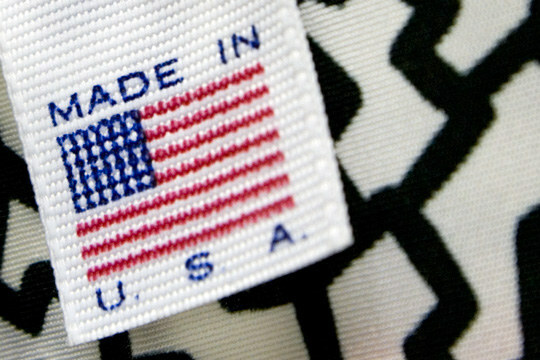 Offshore production didn’t dominate the clothing industry until the ’80s, so an American-made item is probably pre-1980. Get a full guide to identifying vintage labels here. Thumbnail courtesy of Philly AIDS Thrift.